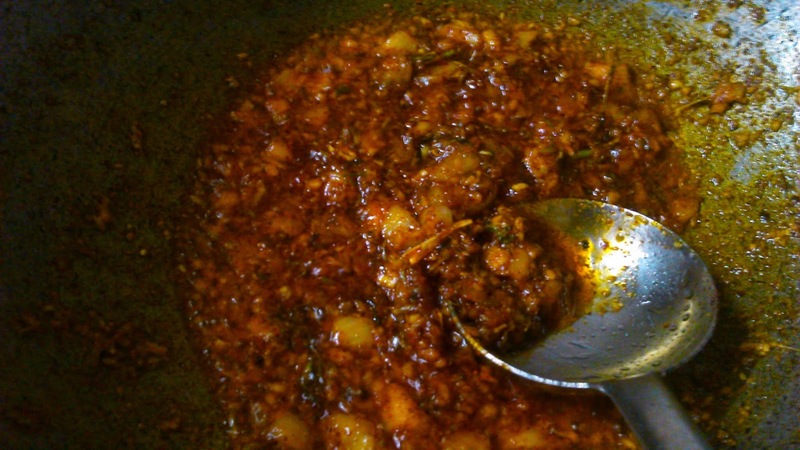 Read traditional way of preparing Vangi Bhaji recipe. 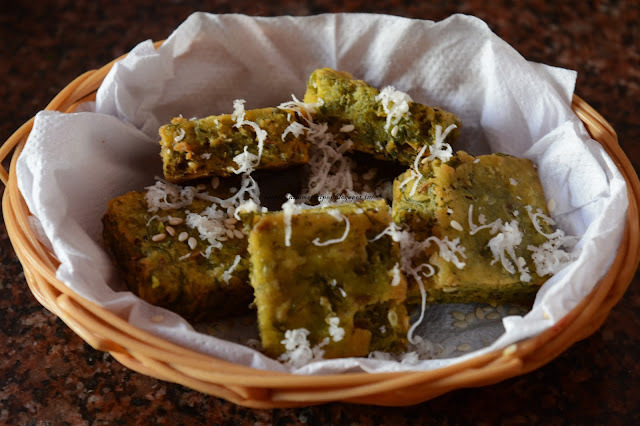 Explore ingredients & share your experience for maharashtrian Vangi Bhaji. 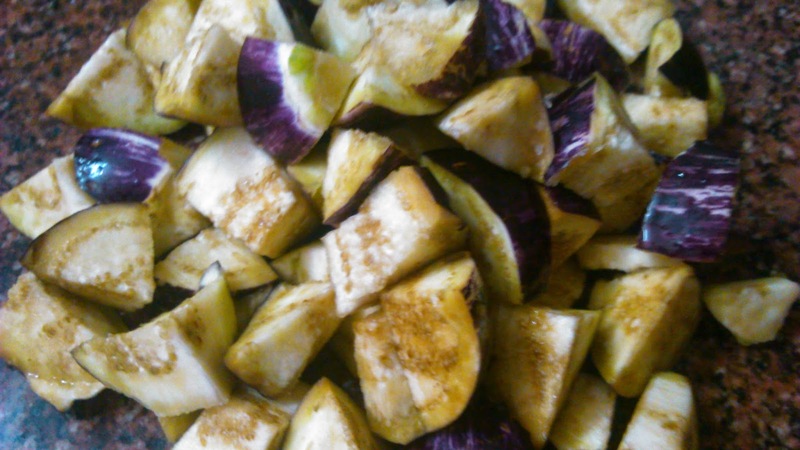 Wash and cut eggplants into medium sized pieces. Add mustard seeds once it crackle add asafoetida (hing). Stir it and add chopped onion once it turned into golden brown add chopped tomato. Add malvani masala, turmeric powder. 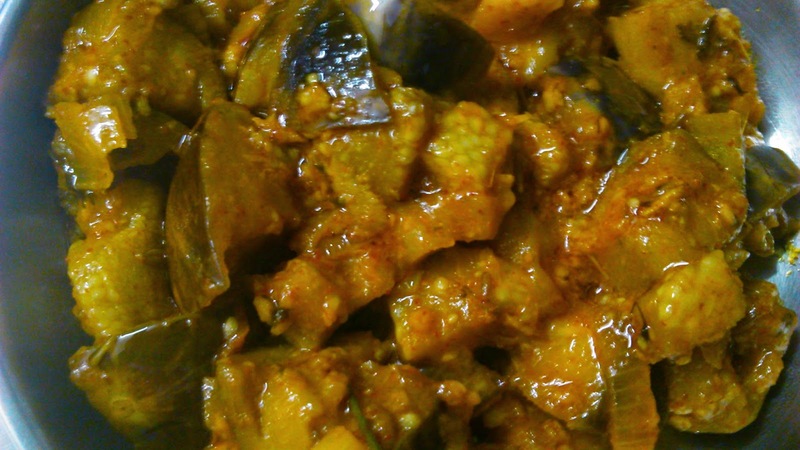 Once oil separated from onion and tomato add eggplant and very little water and salt. 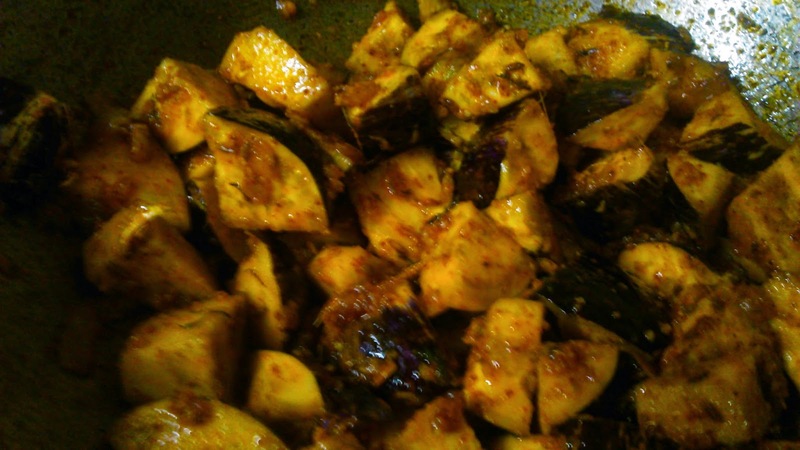 Stir it and cover the pan and let the eggplant cook till soft. 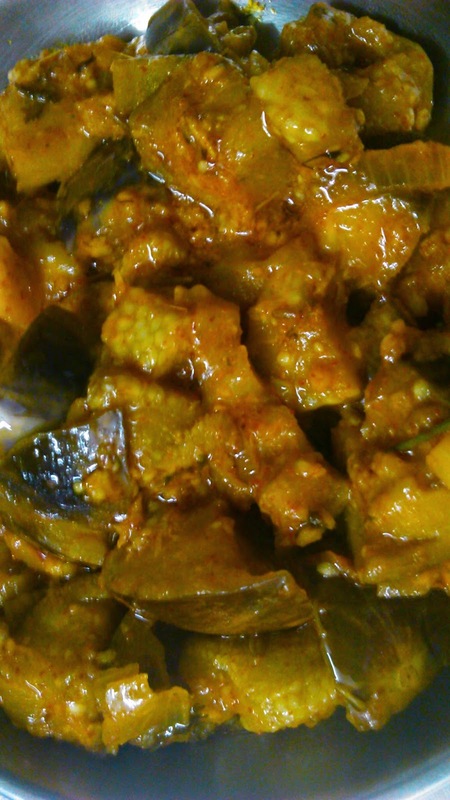 Once the eggplant are cooked add coriander leaves.